Manifesto is the post-industrial project of Uppsala, Sweden’s Magnus Zetterberg. 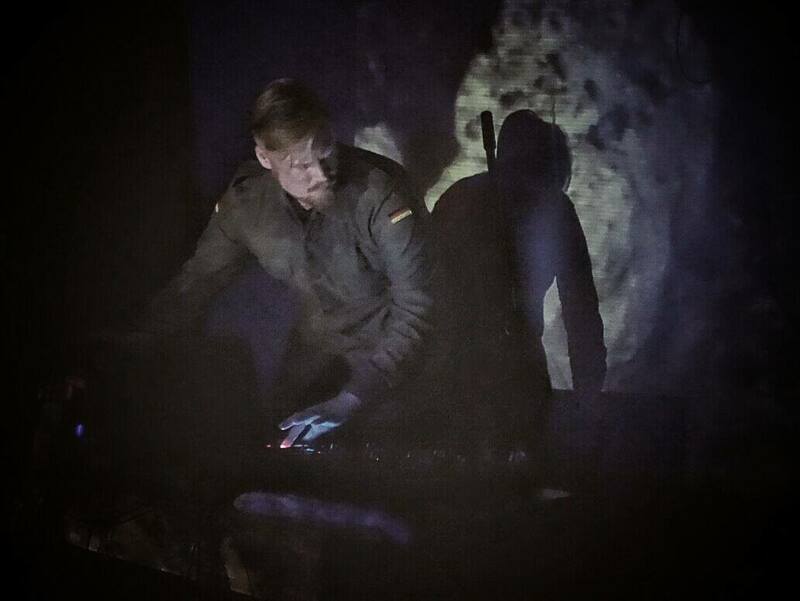 Before venturing into the dark ambient world, Zetterberg earned a Bachelor of Arts degree in Sound and Music Production. The project has now been active for well over a decade, but the last few years have seemed to see a bit of shift in the work of Manifesto. We’ve also seen the artist settle into the Reverse Alignment label with this another release through them, becoming one of the most talented artists on their roster. Sound quality seems to have improved significantly since earlier albums. There is much less low/mid-range noise, and less of the industrial percussive elements. Even so recently as their third full length, Rust, which appeared on Silken Tofu in 2012, Manifesto was still leaning heavily into that death-industrial territory, with comparisons made at the time to acts like Megapetra and Mental Destruction. In general, there is less of an industrial influence than in previous years, and Manifesto digs deep into their dark ambient repertoire to create a new sound which nods to their death-industrial past, but fits a framework much more aligned with the subtler elements of dark ambient. Listeners will certainly still find many of these older elements present, but never in the bold/raw way presented previously. 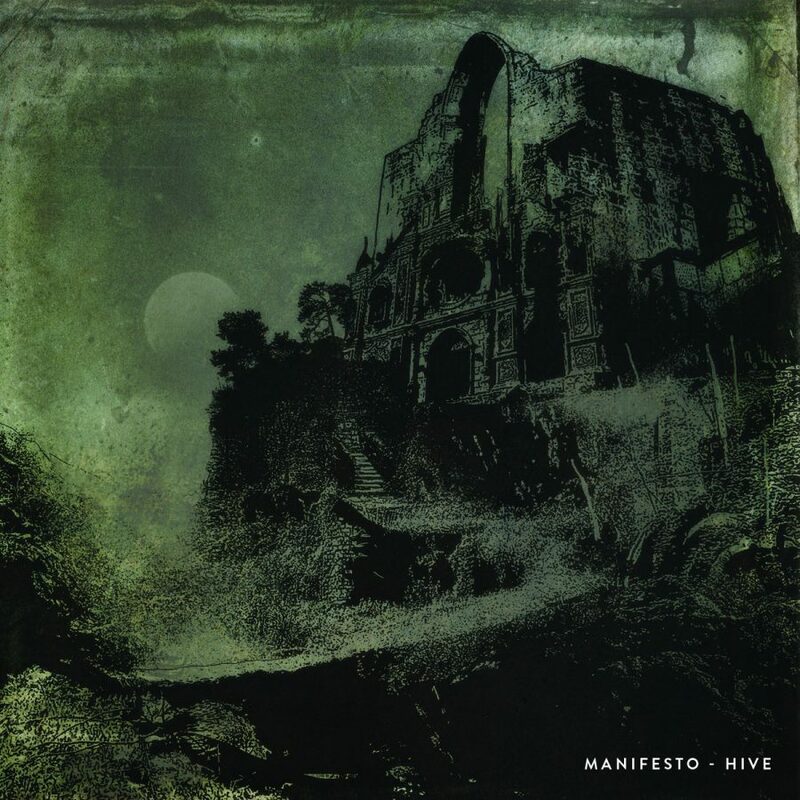 The opening track “Hive”, for instance, includes a subtle industrial beat along with indecipherable voice transmissions atop a droning soundscape to create a hauntingly dark atmosphere, while also holding the sense of solitude and fear which often are rather presented as claustrophobia and anxiety on many death-industrial releases. The track has a consistent abandoned industrial factory sort of feel, as if we are curled up beneath some steel staircase, eavesdropping on the conversation of some post-apocalyptic plague-doctor-looking-lunatic as he lords his newfound authority over some hapless victim. While it is true that the dark ambient genre has exploded in output as well as popularity over the last few years, there is an unfortunate side-effect that some of the greatest releases will be completely ignored. I am guilty of this myself, having really enjoyed the previous release, Exit, by Manifesto, but watching as it fell further into the distance, as new releases continued pouring in for consideration. While I enjoyed Exit, I find Hive to truly capture the intricacies of the style Manifesto has been slowly perfecting over their career. The blending of death-industrial elements into a more traditional dark ambient structure is displayed most powerfully on this release and could be a strong benchmark for other musicians looking to make that combination of the harsher material with dark ambient more palatable. Hive falls most specifically, I suppose, into a harsher sort of horror ambient framework. That feeling of being in an old factory, cowering in fear, never seems to let up. In this way there are certainly some similarities to earlier Atrium Carceri (a style which a reasonable number of fans would love to see resurface in the Atrium Carceri sound). The feelings of desperation, desolation, and despair all boil to the surface. To our horror (and/or delight) we feel ourselves in the midst of a very real place. But there is also the sense of something supernatural happening just beneath the surface. It is the sort of feeling one would get from those scenes in The Nightmare on Elm Street when the girls wander through the steamy recesses of some nightmarish factory, chains clanging, motors grinding gears, furnaces stoking a hell-fire inferno as molten metals boil just beyond our vision. Yet, something more may be lurking beyond this equipment. Something lurking in the shadows. Whether that something is a burnt-skinned, undead supervillain or the dread of tomorrow’s big presentation at the office, is for the listener to decide. live at Verket, Umeå Sept. 2016. Photo by Marcus Norman. If your pleasure is that old-school dark ambient feel, a feel which captures these industrial and horror elements in equal doses. If you enjoyed the works of artists like old-Atrium Carceri, Atrox Pestis, Cryobiosis, or Phragments, you are likely to find much to enjoy here. Reverse Alignment have unveiled a release which should be recognized by all relevant entities throughout the dark ambient community. The level of craftsmanship presented here can’t be understated, nor can the level of market noise. I would highly recommend long-time fans of the dark ambient genre to become acquainted with this new album by Manifesto. Many of the veteran listeners will immediately notice reasons for praise. Those newer to the genres within the post-industrial family will maybe find Hive to be a bit too raw. This isn’t Cryo Chamber style dark ambient, shined to a pristine glow. It is more in line with those releases we’d find on Malignant Records or Cold Meat Industry. Dark ambient for industrial folks. This being said, I certainly wouldn’t recommend that new-comers avoid Hive! Just be sure to go into it with slightly different expectations than you had for the latest protoU.